When you are ready to begin your next vacation, then choose this Heartland Landark 365 Concord fifth wheel. This model can easily be your home away from home. 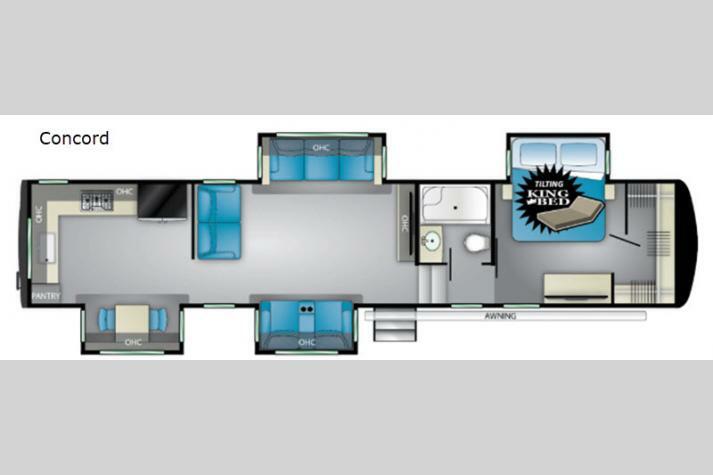 You will enjoy plenty of interior space throughout this fifth wheel with four slide outs, with three of the slide outs located in the living room and kitchen! In the evening you can relax in the living room while watching TV and reclining at the power theater seats or at the sofa. The Dyson cordless vacuum allows you to easily clean up after your family. Plus in the kitchen you will find an at-home touch with the edge lit solid surface countertops. The power awning with LED lights is a great place to hangout whether day or night!